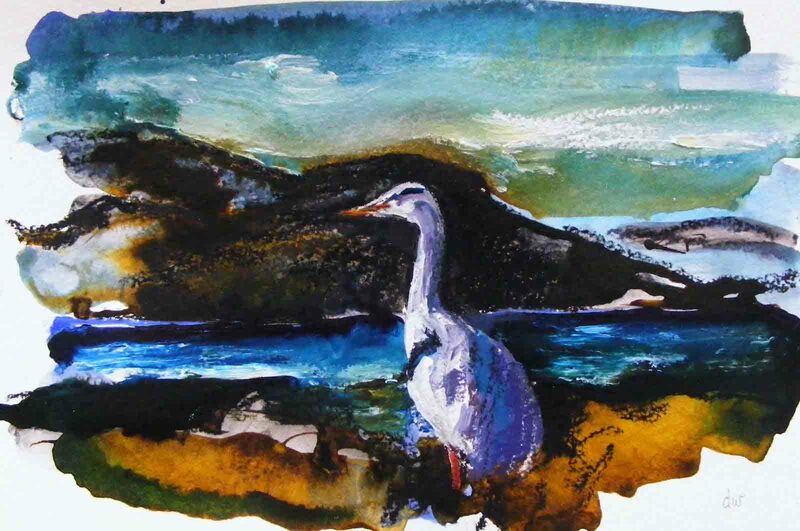 I returned to the subject of the Heron to day. I approached this one in two stages. 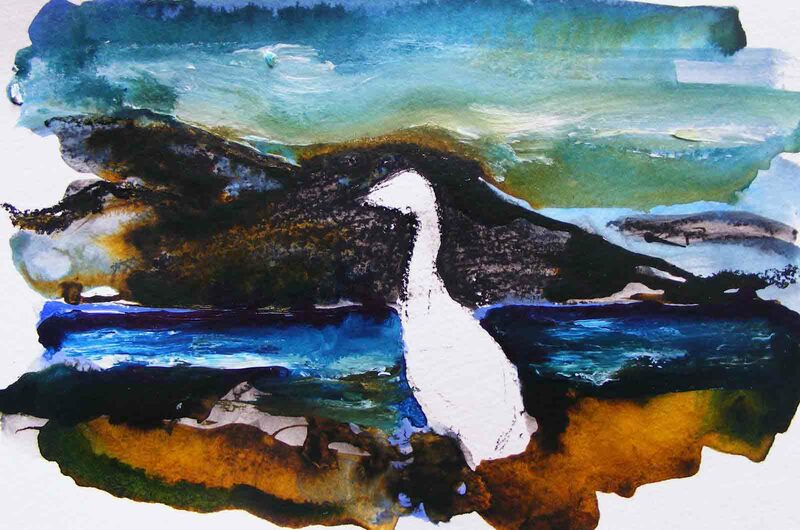 The first photo shows as much as I did at the first sitting – I decided to leave a white space for the Heron rather than working it over the background as I did with the last piece. I completed the sketch when the first layer of paint and ink was completely dry. I also worked in a little more charcoal and some white chalk highlights when the second layer of paint was dry. There is always the danger of overworking a piece that requires careful detail as with the heron in this case, but I am reasonably happy that I haven’t done that here. 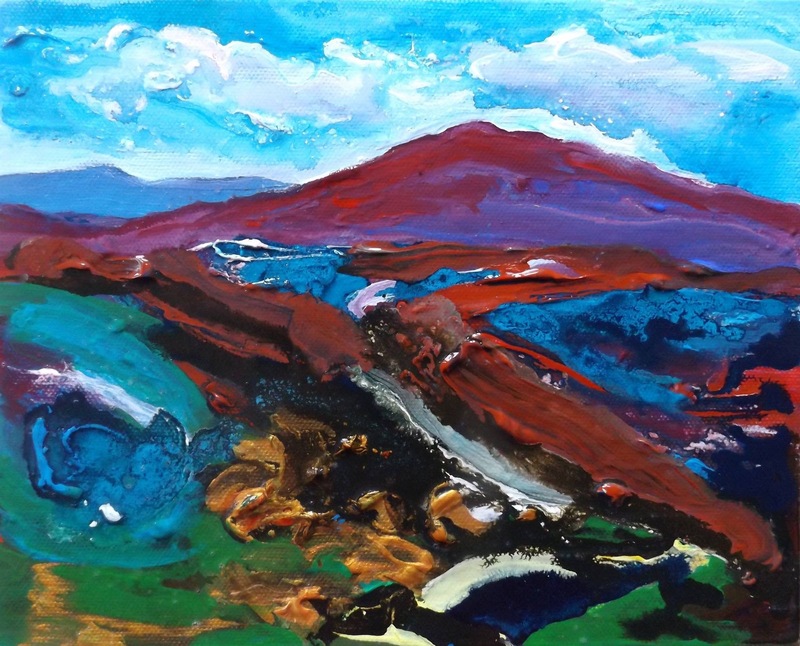 This entry was posted in Paintings and tagged acrylics, beach, clifden, connemara, deborah watkins, heron, lavelle art gallery, paint sketch, painting, sea.